Located in the North Rhine-Westphalia region in Germany, Dortmund is one of the most recognisable cities in the country. 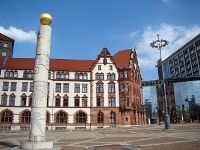 For tourists and locals alike there are plenty of attractions in Dortmund to experience. From educational activities, such as visiting museums and art galleries, to fun-filled sports and action pursuits, such as water parks and bowling alleys, tourism in Dortmund offers something for all ages. For the whole family, discovering what to do in Dortmund can be a pleasurable and enthralling experience. The males may enjoy checking out the Brewery Museum or Westfalenstadion – home of renowned Bundesliga football team Borussia Dortmund and biggest stadium in Germany. For the girls, trips can be made to the many beauty salons or hair stylists in the city. Exercise classes and professional fitness workouts with a gym day-ticket are also available as a fun way to stay fit and healthy. If you’re looking for things to do in Dortmund for younger visitors, again there is an abundance of activities to enjoy. Visiting Dortmund Zoo is recommended as there are roughly 1500 animals including lions, tigers and giraffes that can enhance a child’s awareness of the animal kingdom. In addition, there is Mondo Mio – a museum aimed solely at children and perfect for an educational birthday party. If museums are your thing then visiting Dortmund will not leave you disappointed. There are plenty to choose from, particularly the Museum of Art and Cultural History that showcases how the people of Dortmund have lived over the past 300 years or so. The Museum of Natural History and Museum Am Ostwall are also popular with visitors. Culturally, Dortmund tourism is rich and diverse, with traditional and historical buildings that provide a fantastic insight into the city’s past. Medieval walls and castles still remain, providing a physical showpiece of previous era’s, along with industrial buildings and cultural monuments. Churches in particular dominate the skyline, and Dortmund is home to the longest-standing church in the country, the Lutheran Protestant Church of St. Reinold. These are just some of the ways how you can enjoy activities and attractions in Dortmund with Regiondo. The geographical features of the city have led it to be known as a ‘green metropolis’ mainly due to its large spacious parks, notably Westfalenpark and Rombergpark. Natural environmental features such as large forests and waterways are conspicuous signs of these parks’ natural beauty. Furthermore, the Dortmund-Ems Canal showcases a portal to the city’s past, being a key route for the coal and steel industries into the North Sea. 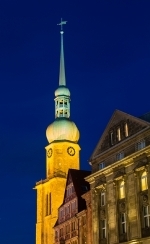 One fantastic way to enjoy the many attractions is to book a Dortmund city tour with Regiondo. Many deals can also be found that will make it cheaper to enjoy the delights the city has on offer. Dortmund provides a cultural and entertainment haven for thousands of people of people of all ages within the Ruhr Valley area.